Going upstream the River Ouse becomes the River Ure just over a mile above Linton Lock. 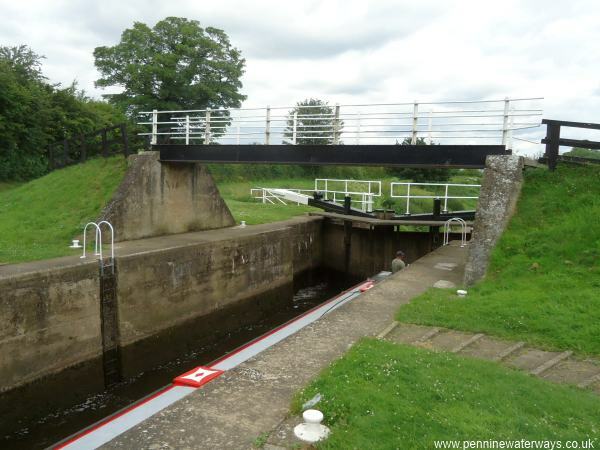 The river was opened to navigation as far as the Ripon Canal in 1772. There are two locks: Milby and Westwick. 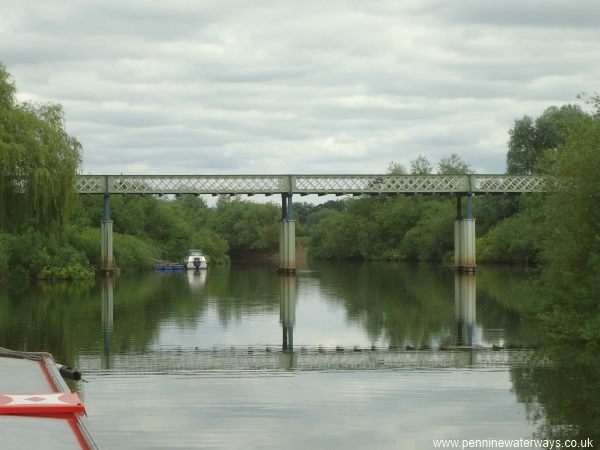 Just over a mile after the Ouse changes into the Ure, Aldwark Toll Bridge crosses the river. 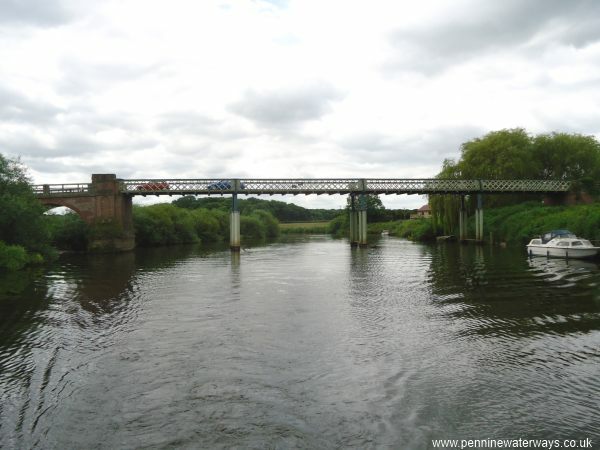 It is the only road crossing between York's northern by-pass and Boroughbridge. Half a mile north is Aldwark Foot Bridge. 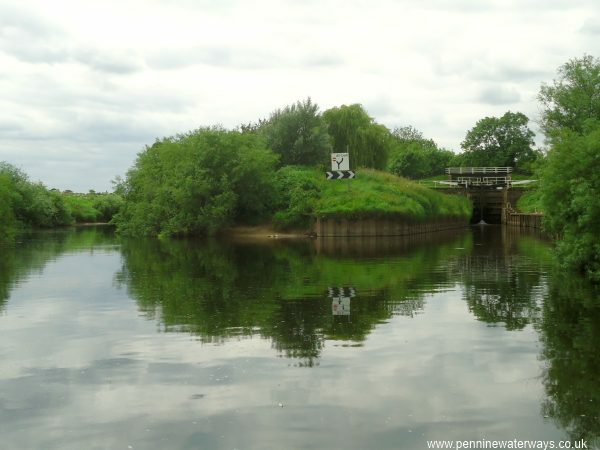 Swale Nab is the confluence of the River Ure and the River Swale. The Ure is to the left while the unnavigable Swale is to the right. 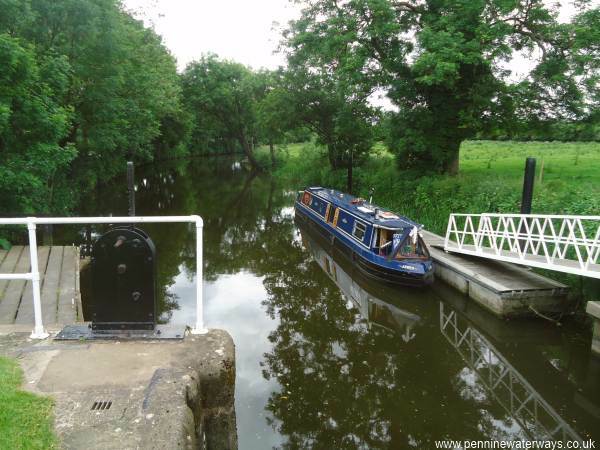 Two miles above Swale Nab is Milby Lock. 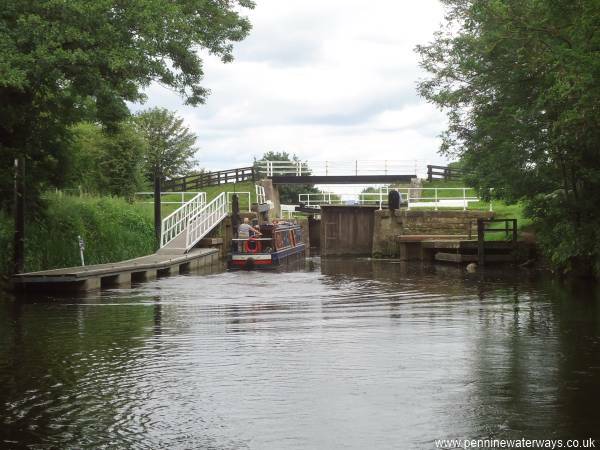 The approach to Milby Lock. 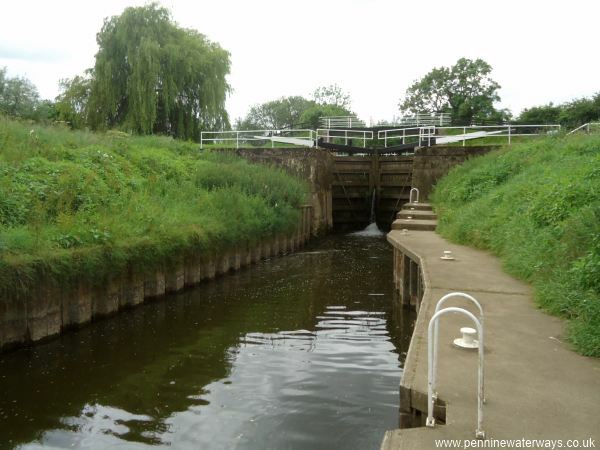 Looking along the lock cut upstream of Milby Lock. 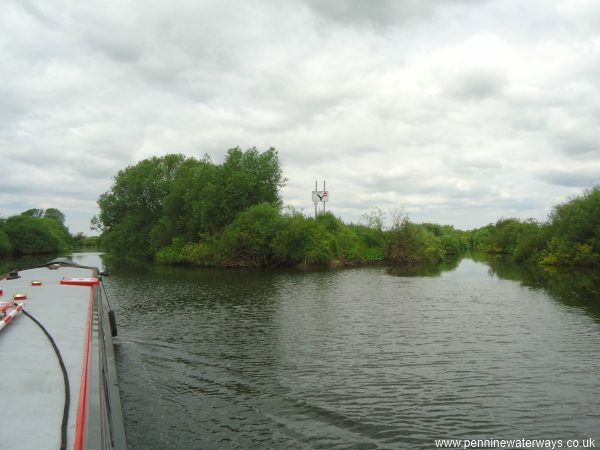 Looking back to Milby Lock.